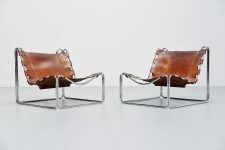 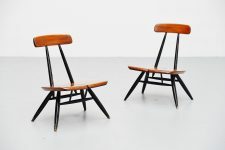 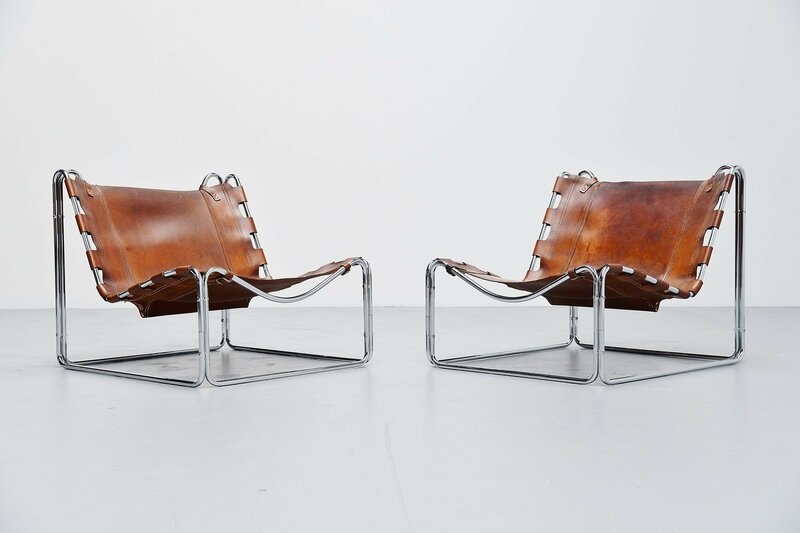 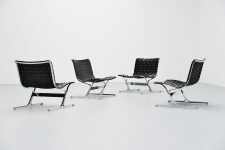 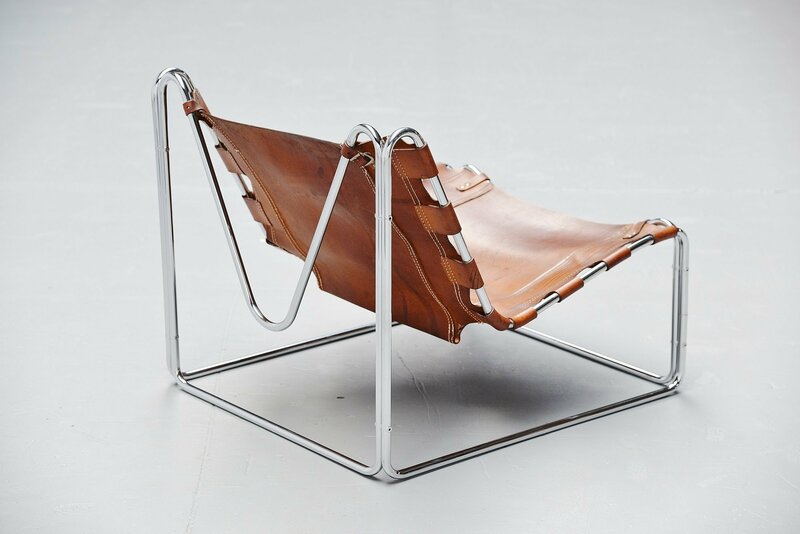 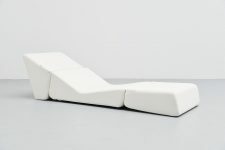 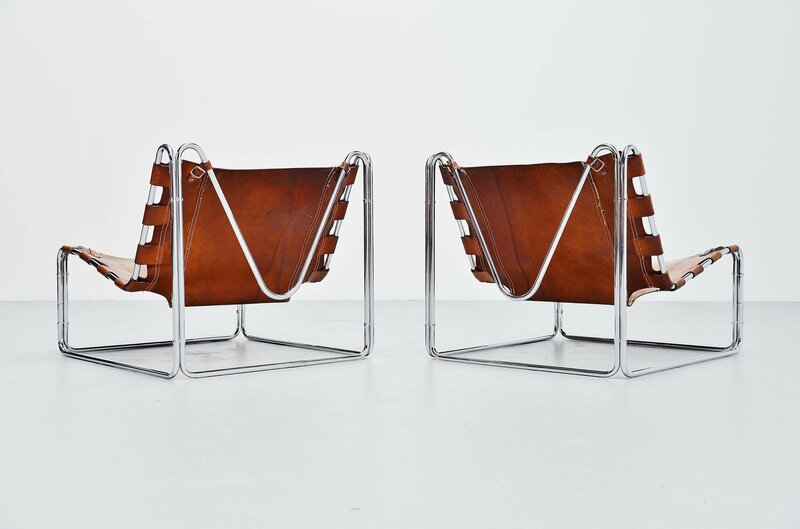 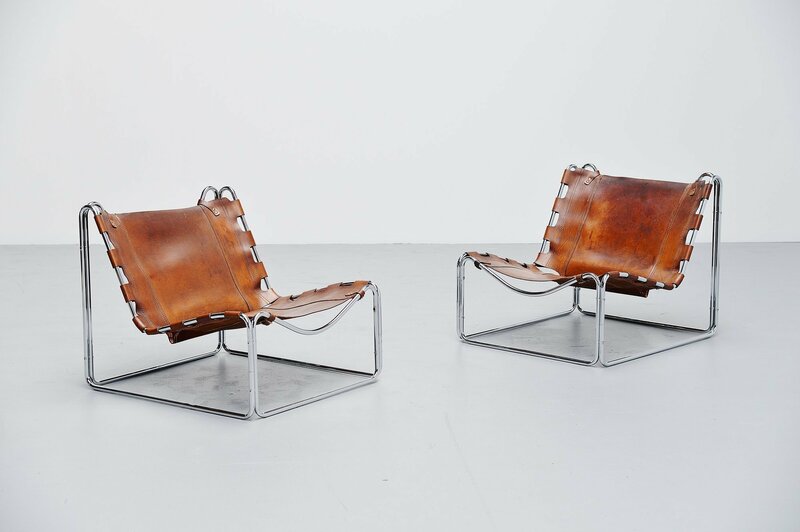 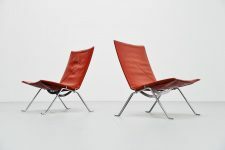 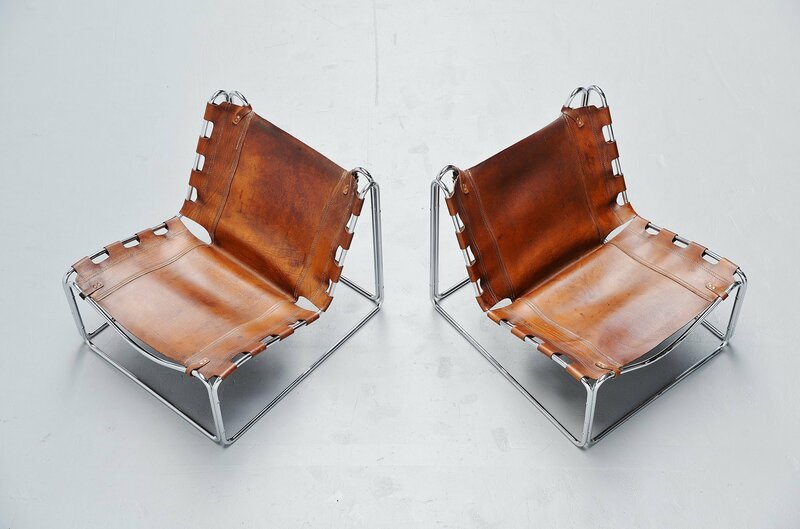 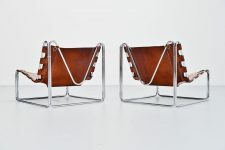 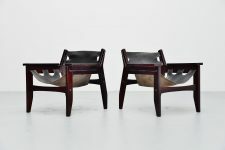 Ultra rare so called ‘Fabio’ lounge chair pair by Pascal Mourgue and manufactured by Sedia-Steiner, France 1970. This very nice low lounge chair pair is made of chrome plated tubular metal has an amazing shape! 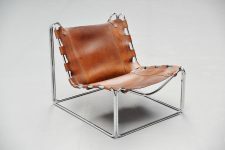 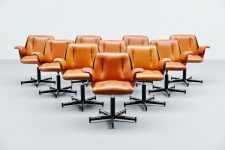 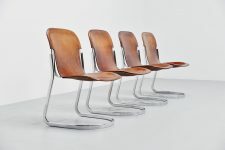 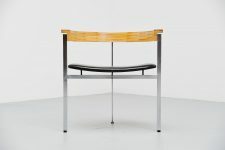 The nicely patinated natural leather seats is a perfect timeless combination with the chrome plated tubular metal frame. 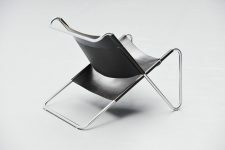 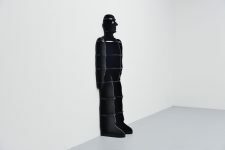 The chair is very hard to find and documented in the Steiner book. 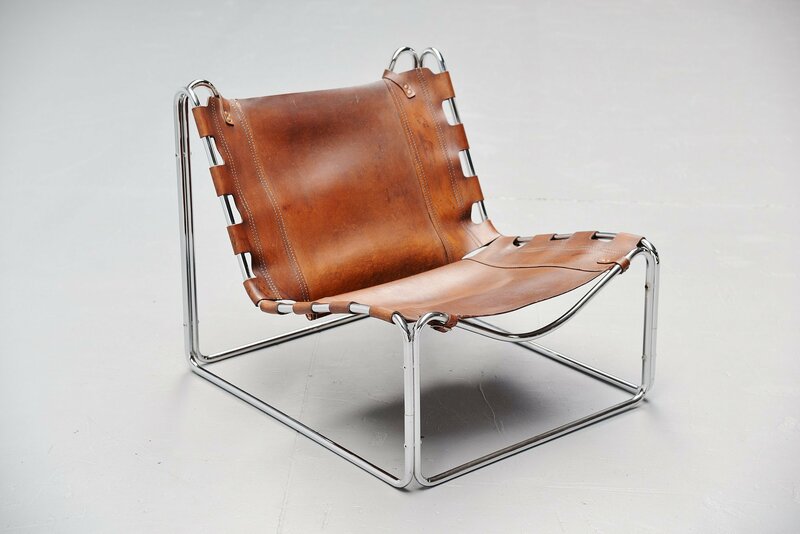 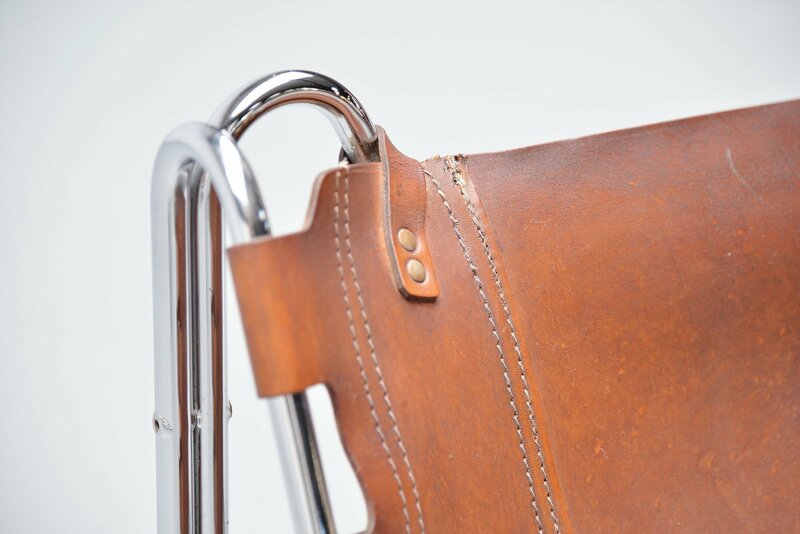 The chair is in good original condition, with a nice patina to the black leather from age and usage. There are some small professional repairs to the stitching of the chairs tops but this looks okay with the patina of the chairs. 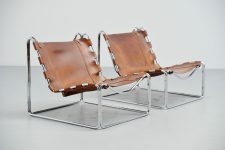 The chairs are low lounge chairs and seat very comfortable. 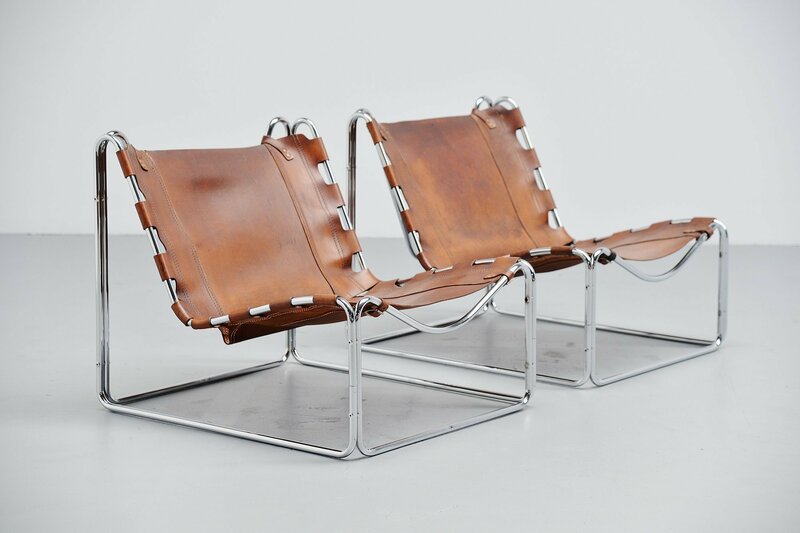 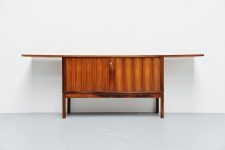 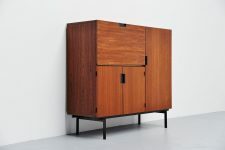 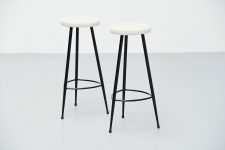 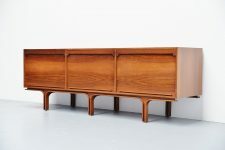 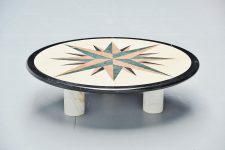 Quality and rare pieces of French design.